Here is some wordart that I made exclusively for Siggy Showdown, however it accidently was forgotten and I wanted to make sure that there was a way for some to get use out of it in time for Halloween tags and projects. Each wordart is a PSD file and is customizable. It is intended for PERSONAL USE ONLY. So just click the preview to download and if you do, please be the one out of 100 and say thanks for the freebie! Thank you so much for this post. 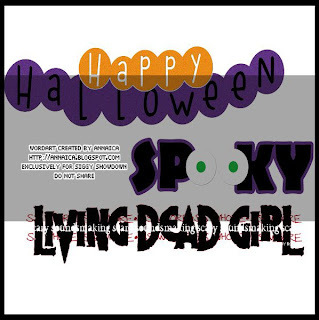 I want to let you know that I posted a link to your blog in CBH Digital Scrapbooking Freebies, under the Page 1 post on Sep. 29, 2011. Thanks again.